I am sitting in my New York office overlooking the Manhattan Bridge, daydreaming about Milan. I can hardly believe that Milan design week is just a few days away! As I am planning for my trip, I started to think about all of the things that I don’t want to miss. PALAZZO LITTA - located in the Cinque Vie Art and Design District of Milan was home to some of my favorite pop up installations in 2018. Seeing product displayed within this Baroque structure would have been enough to fill e with inspiration, but the brands who showed there made me look at their products differently than I’ve looked at them before. CESARE CORRENTI 14 - Much like Palazzo Litta, this structure is also located in the Cinque Vie area and houses pop up installations that cause you to change the way you look at design. PRADA FOUNDATION - Walking through the front gates, I felt like I was walking into another world. From the architecture to the art housed inside its walls, this museum is worth traveling to. Don’t forget to stop by Bar Luce for an aperitivo and dolce. ROSSANA ORLANDI - I am not sure exactly what to say about the experience of visiting Rossana Orlandi, other than it feels like a circus for the scenes. As I walked through the space, I felt like Alice exploring wonderland. Chairs floated of the floor, the garden was filled with sculptures that felt like magical oversized stuffed animals, and erect where my eye rested, there was something interesting to look at. This spectacle is by far one of the most inspiring scenes I experienced in Milan. 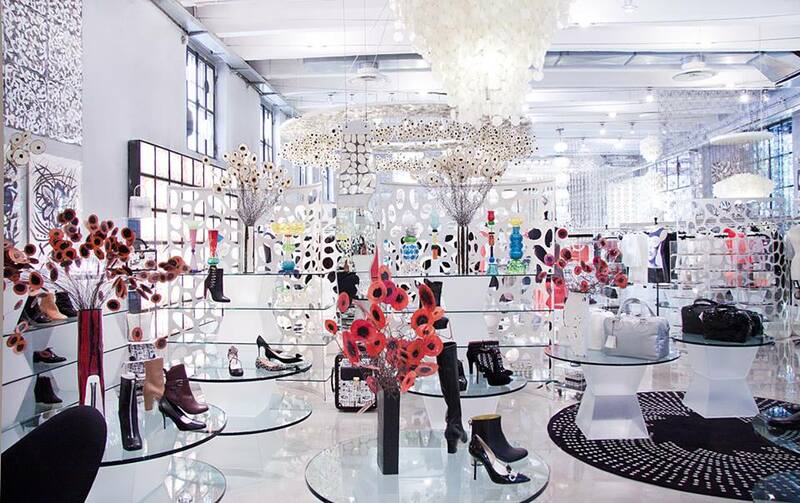 10 CORSO COMO - This stop is easy to walk by if you are not paying attention. The first time I visited five years ago, my mother and I walked passed it 5 times before discovering the entryway. Walking into the courtyard, there is no mistaking you are in Italy. The exterior walls yellow, textured and cracking are covered in ivy, but it is what is on the inside that is truly magical. The collection of clothing and accessories are mostly limited edition specifically made for the store. The location boasts a fabulous restaurant, as well as a bookstore and revolving installations on the top floor. This is one of my favorite stops to both shop and sit for a meal or cup of espresso. LA LIBERA - This traditional Milanese trattoria has the best cacio pepe and Veal Milanese I have EVER eaten. This place is a MUST. SORBILLO - For those of you who do not know me, pizza is by far my favorite food. I know its not original, but it does mean that I know a great pizza when I see it, and Sorbillo’s pizza is so delicious, it makes me wish I had a bigger stomach. What this place lacks in decor, it makes up for in flavor. Great option for a casual lunch or dinner. TERRAZZA TRIENNALE - This restaurant on the roof of the Triennale Museum is a favorite of mine for a number of reasons, one of which is its view of Sempione Park. I prefer to sit with this view while having lunch or a glass of Prosecco rather than visiting one of the bars or restaurants that overlook the Duomo. They tend to get too touristy for me. The setting here is one that feel like la Dolce Vita especially on a clear and sunny day. MARCHESI 1824 - One of the oldest pastry shops in Milan, known for its classic Milanese Panettone and signature chocolates. One of which was gifted to me and may be the reason my fiancé and I are now together. The Gianduiotto, a smooth blend of roasted hazelnuts and cocoa, is cut with a knife like serving a piece of cake. It is so decadent, it can perhaps encourage anyone to fall in love.